Exclusively ours. 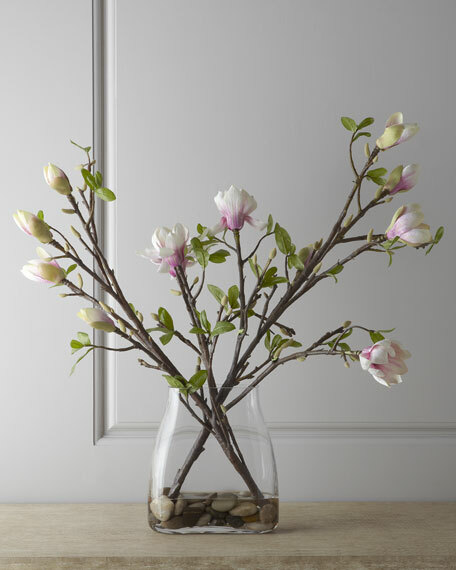 Slightly exotic and very alluring, this simple arrangement features Japanese magnolia stems artfully displayed in a clear glass vase with black river rocks and acrylic "water." 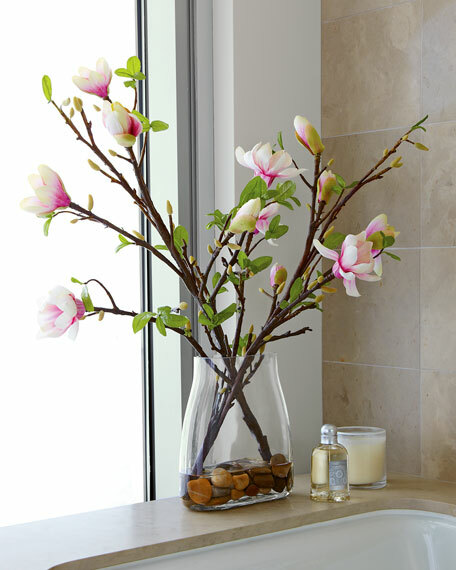 It's the perfect choice when you want light and airy with just a touch of color. 37"W x 20"D x 29"T.
Assembled in the USA of imported materials.